For both long-time and new users, even in 2018, you can still enable 3D Desktop effects on Ubuntu GNU/Linux variants. Compiz, the famous 3D compositor in old time (most of us know it), is still alive. 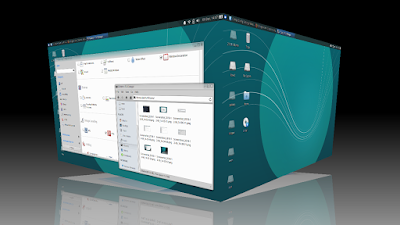 KWin, the 3D compositor of KDE, is also still there. 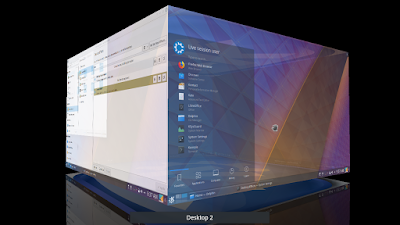 You just need to know how to enable 3D on each desktop environment. Here, I use Kubuntu, Xubuntu, and Ubuntu MATE as examples. Enjoy the nostalgia! Representing distros share KDE Plasma Desktop, Kubuntu does not use Compiz, but instead KWin, KDE's own window manager. 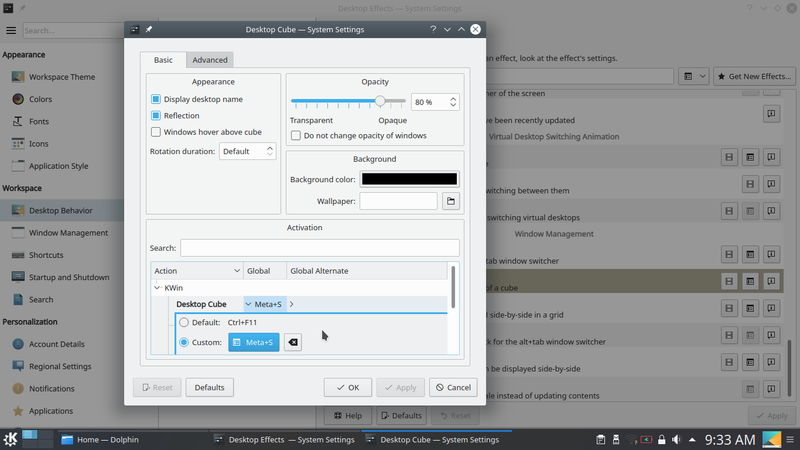 The settings are available under KDE System Settings already, so you don't need CCSM on KDE. 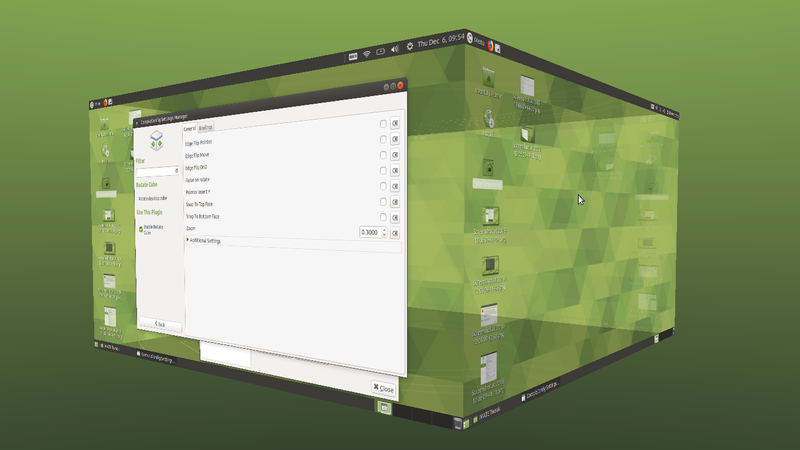 Representing all other distros using XFCE, Xubuntu (honestly) does not bring Compiz by default. XFWM4, the built-in window manager does not have 3D, so you will need Compiz there. No problem, in this case you just need to install Compiz later. They're grouped in two, Compiz and KWin, both are the compositors. Compositor is a component of desktop environment that is responsible to draw 3D effects. If you wonder, the secret is, often a window manager is also a compositor. So no matter what distro are you using now, if you use MATE / XFCE then go follow Compiz below; but if you use KDE then go follow KWin instead. Those are the only difference. Fulfill the requirements: install Compiz and CCSM* first. That's all. Have fun with 3D Desktop again!